It is important that the nutritional aspect of the child is taken care of, especially during the development stages. 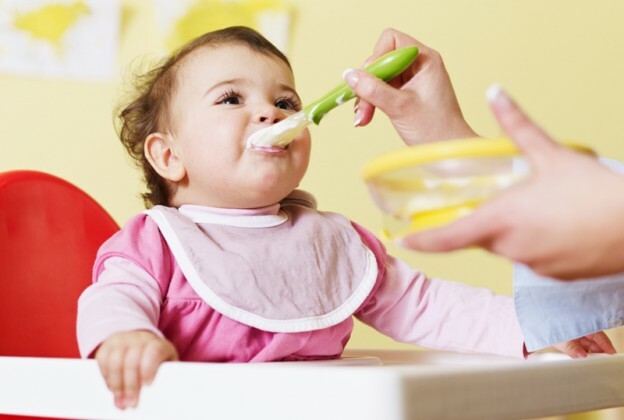 Opting for healthy baby food is certainly the way forward when it comes to knowing what to feed your growing toddler. Many doctors and paediatricians would advise to have foods that are high in nutritional value. So, including foods that are rich in vitamins, fats, minerals, proteins and carbohydrates should essentially be a part of their diet. While preparing your toddler’s diet chart or plan, these are few of the nutritional aspects that you need to cater to. Including foods that are rich in this nutrition will go a long way when it comes to building your toddler’s immunity and overall health. One of the crucial nutrients are minerals. Apart from maintaining a balance in the body, mineral are also responsible to perform many essential functions of the body such to make hormones, and it helps to maintain a normal heartbeat. The most important of all minerals is Iron. The main function of it in the body is transporting the required oxygen from your lungs to the rest of the body. Second important mineral is – Potassium. Apart from strengthening the immunity, potassium helps in the proper functioning of the nervous system and muscles. One of the essential nutrient during this time is Calcium. It is required in adequate amounts for the overall development of your toddler. It also aids the growth and development of healthy bones, teeth and nails. Nuts, seeds and milk is an excellent source of this nutrient and also considered as one the healthy baby food. However, you can also include tofu, sardines, cereals and oatmeal, etc. to give the required amount of calcium to your growing toddler. We often hear vitamin deficiency in children. It is also because this is one the most ignored nutritional aspect. Vitamins aid the process of metabolism. It gives your toddler a healthy heart and proper functioning nervous system. Vitamins such as Vitamin B and B12 are few of the most important vitamins to be included in the diet for proper growth and functioning. Apart from this, vitamin D helps to absorb the calcium in the body and aids the process of building strong bones and help to protect the child against chronic diseases in future. Vitamin E strengthens the immune system. It helps in the proper function of blood vessels. You can also include meat, eggs, poultry, fish, etc. are rich in these vitamins, and apart from this vegetable oil such as sunflower oil is a great source of vitamin E.
One of the best ways to ensure that all the above three nutritional factors are a part of your child’s diet is through Cereals. While there are way too many options available in the market, you need to look at cereals that gives your toddler maximum nutritional benefit. Ceregrow, for example, is one such cereal to consider. Below we mention few benefits of Ceregrow that make it one of the healthy baby food for your child.